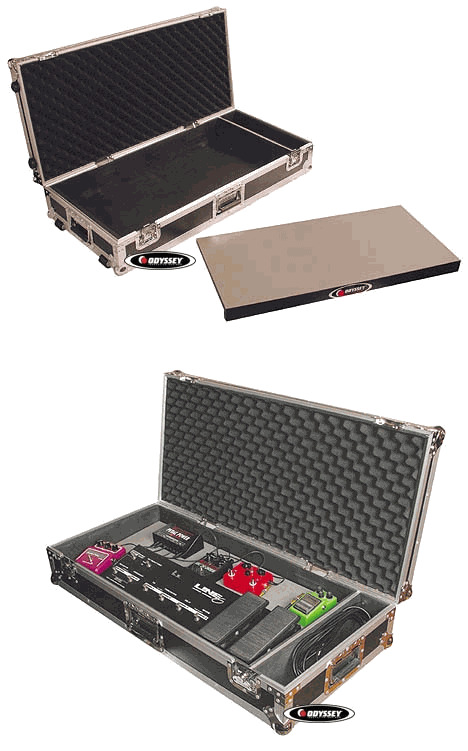 Odyssey FZGPEDAL32W Pedal Board Case DJParts - All Variety of Parts that DJ Needs. Fits pedals up to 32" wide on a removable plate. Main 32.5" x 16.5" x 4.5" Plus 3.25" x 16.5" x 4.5"